Kids---test your memory and Bible knowledge! 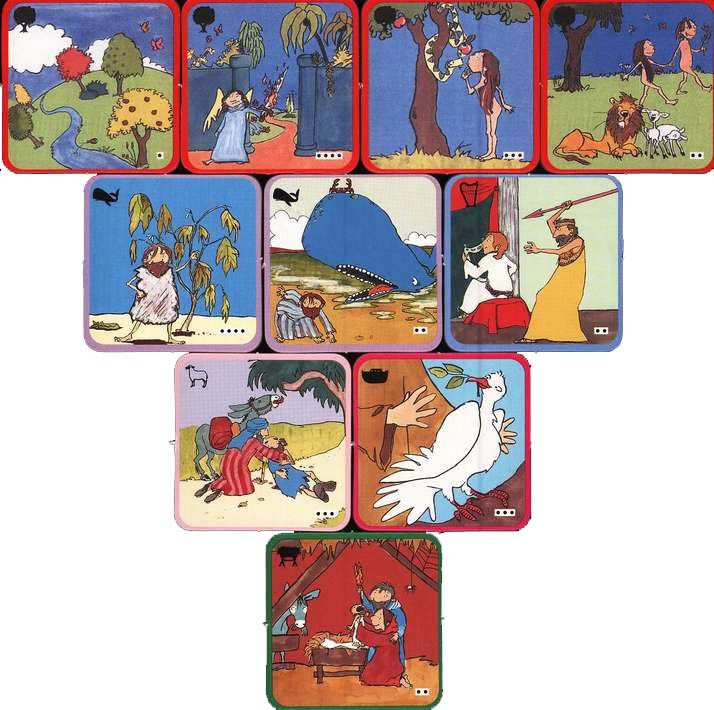 Each of 12 Bible stories is depicted in different scenes on four cards. Every time a pair is matched, the Bible story can be read from the included booklet or straight from Scripture. 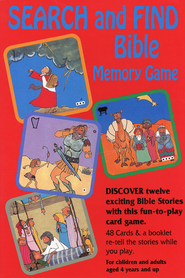 Includes 48 cards and a companion booklet. Two or more players, ages 4 and up.